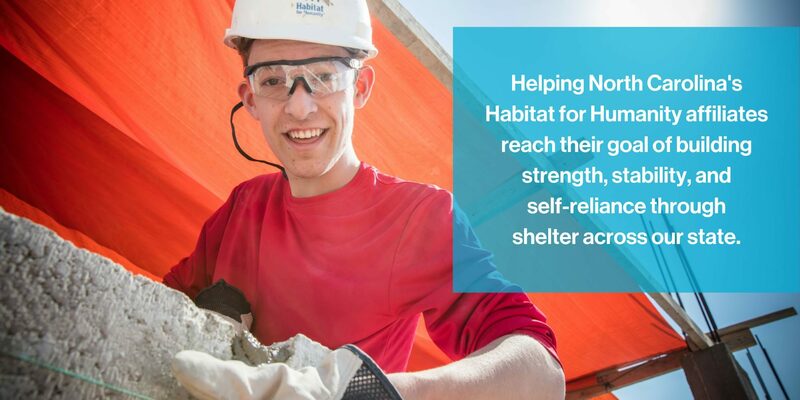 Chatham Habitat for Humanity has been building Energy Star rated houses for 15+ years and is now developing a program to install solar electric panels on many of its houses. This project is working to reduce carbon emissions, build long-term resilience, and decrease energy costs for homeowners, making our houses more affordable to live in and maint.ain over time. Through a generous grant of $38,000 from NC WARN to start a revolving fund for Chatham Habitat houses, and with support from NextClimate, United Solar Initiative, and the “Solar in Your Community Challenge,” Chatham Habitat plans to install solar electric panels on all of its future homes that have adequate solar orientation. For more information visit chathamhabitat.org.